Firebrand of Liberty - Description | W. W. Norton & Company Ltd.
A nearly forgotten Civil War episode is restored to history in this masterful account. In March 1863, nine hundred black Union soldiers, led by white officers, invaded Florida and seized the town of Jacksonville. They were among the first African American troops in the Northern army, and their expedition into enemy territory was like no other in the Civil War. It was intended as an assault on slavery by which thousands would be freed. At the center of the story is prominent abolitionist Colonel Thomas Wentworth Higginson, who led one of the regiments. After waging battle for three weeks, Higginson and his men were mysteriously ordered to withdraw, their mission a seeming failure. 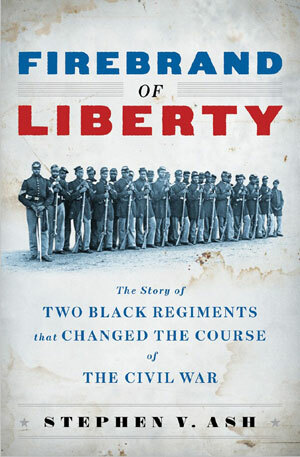 Yet their successes in resisting the Confederates and collaborating with white Union forces persuaded President Abraham Lincoln to begin full-scale recruitment of black troops, a momentous decision that helped turned the tide of the war. 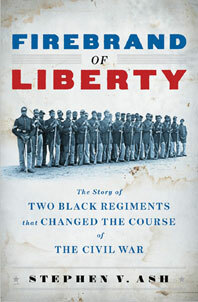 Using long-neglected primary sources, historian Stephen V. Ash’s stirring narrative re-creates this event with insight, vivid characterizations, and a keen sense of drama.